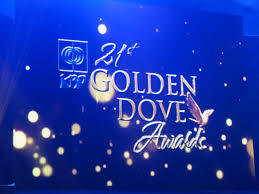 The KBP Golden Dove Awards 2013 winners released online. The Kapisanan ng mga Brodkaster ng Pilipinas (KBP) named the winners last Friday night, April 25, 2013, at the Star Theater, Star City Complex in Pasay City. For the meantime, If you like this information, please bookmark it now or visit this site more often for you to be updated. You may also share this post to your friends so they may know about the KBP Golden Dove Awards 2013 winners. Comments or suggestions about "Golden Dove Awards 2013 winners released" is important to us, you may share it by using the comment box below.